Children’s ride-on suitcase brand Trunki has blamed “copycats” after moving into the red with a £1.5 million annual pre-tax loss. 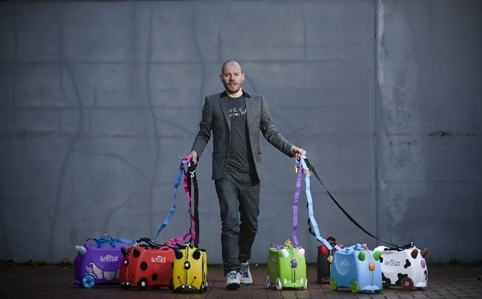 Last year Trunki lost a legal battle against company PMS International, which it had previously sued in the High Court for infringing its Registered Designs with a series of rival Kiddee Cases. However, the Court of Appeal overturned that decision, leaving PMS free to sell its Kiddee Cases. The Court’s decision was greeted with protests from designers including Sir Terence Conran and Kevin McCloud, who said the ruling had led to “widespread confusion” for designers about their rights” and “puts British businesses, compared to their European counterparts, at a real disadvantage”. Now the Telegraph reports that Trunki posted losses before tax of £1.5 million in the year to December 2013, compared with a profit of £720,373 in the previous year. He added that the company was looking to develop a new product as well as improving its manufacturing facility.